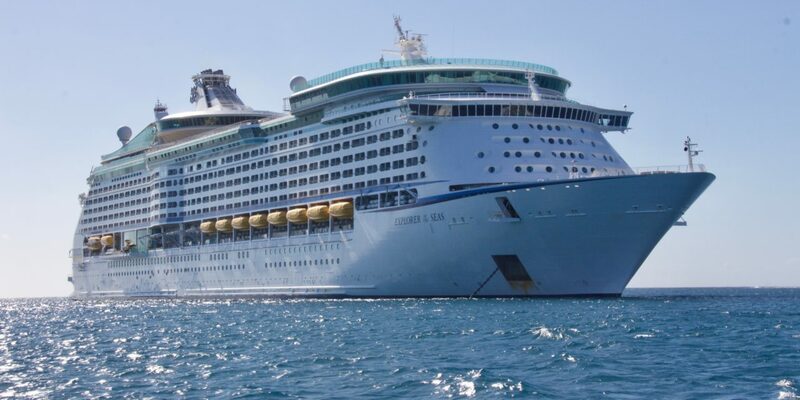 As cruise ships continue to become larger and accident reports continue to progress in great numbers, we are left wondering what exactly is being done to better train crewmembers in the event of an emergency at sea or in port. 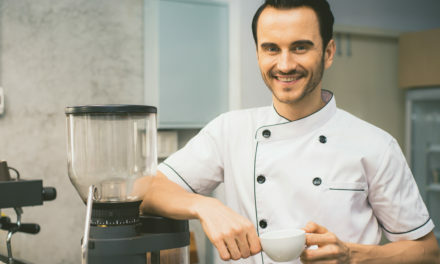 Every crew member should have at least some familiarity with how to properly handle any onboard situation, including how to best evacuate passengers in the event of the vessel becoming disabled, what to do in the event of an onboard emergency, and (most importantly) how to keep themselves safe while on the job, especially when it comes to slip and fall accidents. Safety is the top priority for both passengers and crew members while on board the ship. As passengers are continuously coming on board for an unforgettable time at sea, crewmembers must enforce safety protocol for everyone on board, in order to make sure that no one’s life is put in immediate danger. Food for thought: If crewmembers are not following proper protocol to maintain onboard safety, how can they be trusted with ensuring that passengers are kept safe? Here are a few safety tips that crewmembers should follow to guarantee that everyone remains safe and has an exceptional time while on board. Since each vessel usually flies a foreign flag, it can be difficult to understand the difference between each country’s laws and what constitutes acceptable and unacceptable behavior. Be sure to learn your cruise company’s requirements,including regulatory maritime and cruise ship laws to ensure that you are putting your best foot forward at all times (and most importantly not endangering anyone). Upon each new boarding, crew members should participate in a safety meeting, usually carried out right before your ship leaves port. It is in these meetings that you will be informed of your duties in the case of an emergency, and will be required to know where you need to congregate in the event of an accident or evacuation. Once on board a vessel, crew members are expected to know how to operate lifeboats, where the boats and rafts are located, how to launch them, and know about the different fire-extinguishers on board and what kind of fire they are used for. Basic First Aid is also required to address any type of non-life threatening injury while onboard. In order to help keep crew members accident free, slip resistant work shoes are a great asset to each worker’s uniform. With a slip resistant sole, crew members are kept safe at work and experience a decrease in slip and fall injuries when it comes to working around unseen spills. There’s actually more to sizing than meets the eye. When you’re on your feet for eight hours a day, your shoes need to fit perfectly. Or else…the improperly fitted shoe demons will haunt you until you find yourself cursing the creator of the first ever pair of shoes (there’s a history lesson here that this writer knows nothing about). By protecting yourself with slip-resistant footwear, you are being a more effective team member. When you aren’t worried about slipping at work, you can do your job more adequately. When you aren’t worried about getting injured, you enjoy your time at work even more. Your overall health isn’t something to wager with, so by wearing the right safety footwear, you can protect yourself. While you may be unaware of the risk that you are taking, you’re setting yourself up for an accident waiting to happen. By wearing proper slip resistant work shoes, you can do yourself a favor and help to reduce the risks associated with improper workplace footwear. 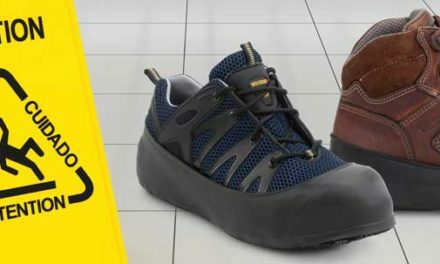 Foot injuries are among the leading causes of workplace injuries, safety shoes are designed to prevent those types of accidents from doing some serious damage. The right pair of safety toe boots can protect you from falling objects, punctures, lacerations, sprains, and even falls. That’s a list that you that don’t want your feet to be a part of. With a pair of steel toed boots, these injuries can be prevented. You’ll also be saving yourself a trip to the doctor’s office and a few weeks with your foot wrapped and elevated. These are just a few of the many safety recommendations for cruise ship workers when it comes to staying safe at sea and at port. It is crucial for us as crewmembers to understand that our responsibility is ensuring the safety of everyone on board (including ourselves), as well as our duty to protect passengers per maritime law. For more information on work safety tips, visit us on our website at srmax.com. Overshoes? What the heck is an overshoe and how can it help me?